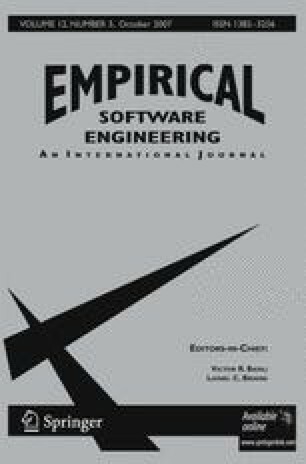 The usefulness of measures for the analysis and design of object oriented (OO) software is increasingly being recognized in the field of software engineering research. In particular, recognition of the need for early indicators of external quality attributes is increasing. We investigate through experimentation whether a collection of UML class diagram measures could be good predictors of two main subcharacteristics of the maintainability of class diagrams: understandability and modifiability. Results obtained from a controlled experiment and a replica support the idea that useful prediction models for class diagrams understandability and modifiability can be built on the basis of early measures, in particular, measures that capture structural complexity through associations and generalizations. Moreover, these measures seem to be correlated with the subjective perception of the subjects about the complexity of the diagrams. This fact shows, to some extent, that the objective measures capture the same aspects as the subjective ones. However, despite our encouraging findings, further empirical studies, especially using data taken from real projects performed in industrial settings, are needed. Such further study will yield a comprehensive body of knowledge and experience about building prediction models for understandability and modifiability. This research is part of the MECENAS project (PBI06-0024) financed by “Consejería de Ciencia y Tecnología de la Junta de Comunidades de Castilla-La Mancha” and the following projects supported by the “Ministerio de Educación y Ciencia (Spain) and FEDER”: TIN2006-15175-C05-05, TIN2004-03145 and TIN2004-06689. We thank Macario Polo, Félix García and Crescencio Bravo from the University of Castilla-La Mancha for having allowed us to perform the experiment with their students. The authors are grateful to the anonymous reviewers for insight and feedback to several key issues covered in this research. Thanks to Chris Wright for proofreading the paper. Here we show, as an example, the UML class diagram D3 and its understandability, modifiability and rating tasks. Is it possible to distinguish between individual and company clients? Is it possible to know when an employee began to work in a branch office? Can an employee belong to more than one branch office? Can the employees be clients of the bank? We would like to distinguish between permanent and temporary employees. For temporary employees we would also like to know their start date and the duration of their contracts. We would like to register the transactions of an account, indicating the transaction date, type (deposit withdrawal) and the amount of the transaction. We know that a transaction can only belong to one account and one account can experience many transactions. Can there be employees that are clients of the bank? We would like to identify the manager of every bank and also the employees of each bank. According to your criterion, evaluate the COMPLEXITY of this class diagram (mark with a cross).